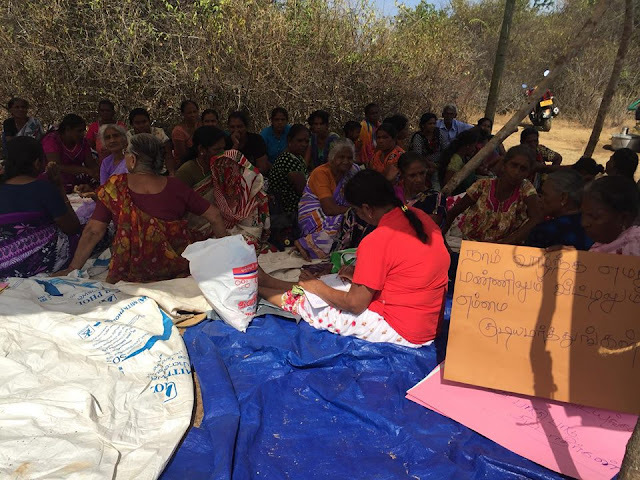 A Month ago,people in "Kanagar" village (~5Km North to Pottuvil) of Eastern Province in the of Sri Lanka staged a protest and continuing till now in order to regain their land back which was occupied by the military since 1990. The villagers have been evicted from the village through a military operation during the war in 1990. many of the villagers have been arrested during the operations and no information on them till now. 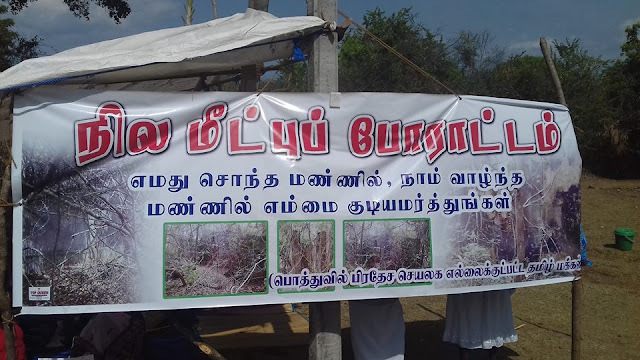 after end of the war, the people supposed to return to their village but the forest department and military have been barring enter into the village. According to the information given by protesters, it had been around 285 houses in this village. now all the houses have been bulldozed. After several attempt to enter the lands they used to live, the villagers have lost their patients and started the protest to regain their land. Victims suspect that the spectacular beach adjacent to village is the cause behind the barrier of entering. After the end of conflicts 1000's of acres of lands were grabbed for tourism industry investments. The village has named after late MP Mr. Kanagaratnam as he has built and given 30 houses for the villagers along the roadside. Officers form divisional secretary have been visited the place recently and people are waiting for a response.